No matter what we do to keep our environment under control, nature certainly has its ways of reminding us who’s boss. Even everyday storms can cause damage by way of lighting, flooding, or wind-driven projectiles. However, when just the right set of conditions arises for rain droplets to freeze in the clouds and accumulate added layers of ice, we have something else to worry about: Hail. When viewed from a safe vantage point, hailstorms can be fascinating and even beautiful. Hailstones often come down at a manageable size, but sometimes they exceed our expectations. 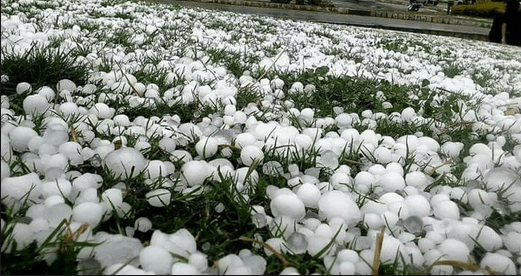 Let’s take a look at five of the largest hailstones in the world, which might make you want to check the sky before venturing out in the next storm. A severe supercell formed just south of the Black Forest and made its way down near Undingen and Reutlingen, finally dropping an impressive load of hailstones. Many of these stones challenged tennis balls and oranges in size, especially the new German record-breaker. This sizeable hailstone is recognized not only as the biggest documented hailstone in Germany, but likely the biggest in Europe as a whole. It’s no secret that hailstones can cause plenty of damage to buildings, cars, and other property. The hailstones from this supercell, however, went above and beyond and caused millions in damage. 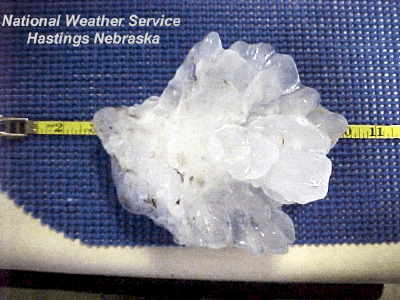 This formidable hailstone was estimated to have fallen from the Kansas sky at 105 mph, and is considered to be the fastest falling hailstone documented. Hailstone spotting is something of a hobby in the Great Plains, with enthusiasts waiting for the end of the storm in order to promptly begin searching for other impressive hailstones that might stand a chance at breaking the current records. Some hailstone spotters even enlist the help of local police officers, who sometimes help out by using their radar guns to gauge how quickly the larger hailstones fall. 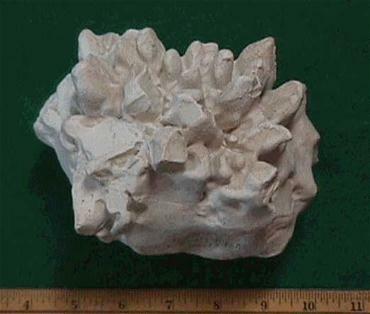 A replica of this hailstone was crafted in order to provide thorough documentation of its size. This replica remains on display in the Coffeyville’s Dalton Defender’s Museum. While a two-pound hailstone certainly sounds fascinating to behold, it’s important to remember how dangerous falling ice stones can be. The hailstorm of 1986 that struck Gopalganj, Bangladesh left tragedy in its wake when it took 92 lives and caused extensive property damage. These deadly projectiles were estimated to have fallen at over 99 mph, and documented to be the heaviest to have fallen in Bangladesh. No dimensions were recorded for this massive hailstone, so we don’t know its diameter or circumference to compare to those of other record-holders. However, its weight alone is enough to distinguish it from its competition. The supercell storms that loomed over Deshler, Nebraska in 2003 caused a lot of damage to the buildings and landscape of the area with everything from flooding to tornadoes. As if these threats weren’t enough, massive hailstones began falling from the sky as well. 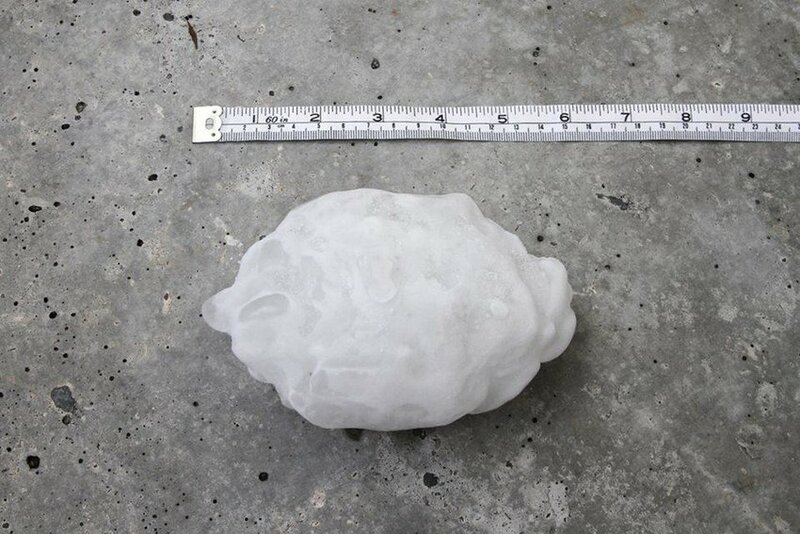 Among the frigid projectiles turned out to be a massive specimen that landed in Aurora and outdid the Coffeyville hailstone as the largest known specimen at the time. Aric and Tamara Brophy discovered this hailstone after it hit the gutter on their home. They believe that it melted somewhat before they were able to get to it and stash it in their freezer, meaning that it could have been even larger. This prize hailstone wasn’t measured and documented until four days afterward. The hailstone of Vivian, South Dakota is the biggest hailstone in the world. The storm that ushered in this record-breaking specimen was reported to have damaged 55 homes. A particularly hefty chunk of ice was collected by one Mr. Lee Scott, who apparently first set his eyes on it with plans to make daiquiris with it! He thought better of it and stored it in his freezer, later presenting it to the National Weather Service. They promptly bestowed the title of the largest officially recorded hailstone, knocking the former record-holder from Aurora down to second place. 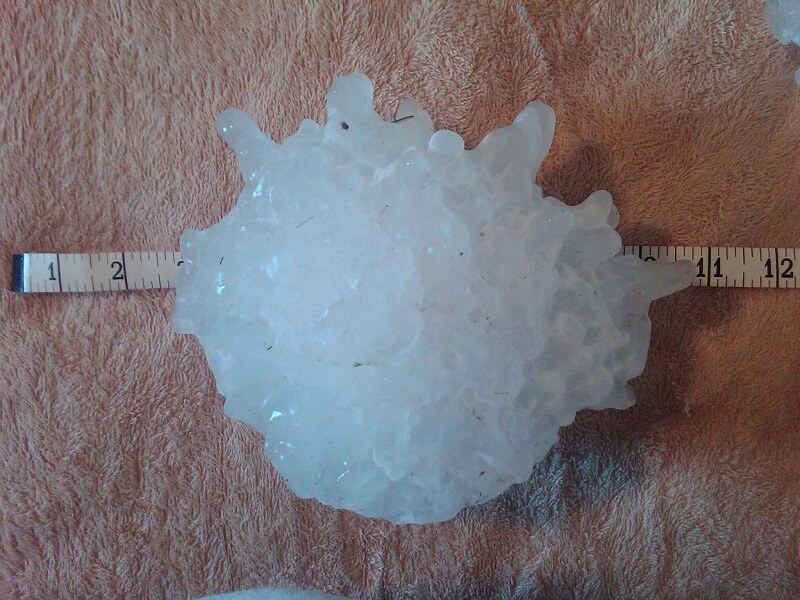 Mr. Lee Scott reported that this massive hailstone was closer to 10-11 inches when he found it. It melted somewhat by the time he got it to his freezer, decreasing in size.